Ray Noble CD - Tracer Technologies Inc.
Sports writers are fond of referring to multitalented athletes as "triple-threat" artists, individuals capable of performing with outstanding skill in several roles of activity. 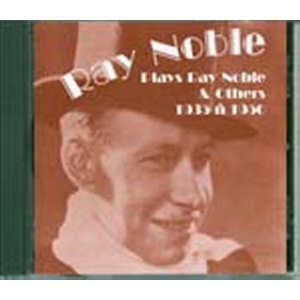 The same description applies to composer-arranger-bandleader Ray Noble, who excelled at all three of these musical undertakings to the extent that he could have had a successful career in any one of them. Instead, without any obvious effort, he pursued parallel lines, and did so in highly original styles that are readily recognizable. During his career, he approached everything he did - arranging, composing, band-leading, acting - without pretense and with a quiet, meticulous taste evident in the songs and arrangements he wrote. Those arrangements were put together with deceptive simplicity, but with such superb musicianship that they still hold up well after more than half the century that has gone by since they were written. The recordings he made are still admired as among the finest of all time.